I hear a lot of people on social media claim that folk like me who post pics of what they eat and pics of their exercise and bodies are not being too truthful. For example, that you can’t get a strong and healthy body just from eating the foods posted. So by default those posters must be lying. Well I can honestly say that what I post and what I do are the same thing. I take the view, initially and happily supplied by my mum, that as long as I prioritise eating a nutrient dense diet I can eat anything else I feel like – or have room for. I don’t count calories because I don’t need to. That hasn’t always been the case. I went through a period of being very conscious of calories but now with a combination of a highly nutrient food intake combined with regular and very enjoyable exercise I am free of, what I consider to be,the very negative calorie focused mindset. It didn’t work for me. There is no doubt that I am helped in making good food choices because I am entirely plant based and I am very mindful of the amount of sugar I consume. But if you look carefully you will occasionally see white bread and a range of snacks in the background. I also post pics of wine and beer! The fact is that I am about 80% super healthy and 20% pretty loose on the food front. I don’t eat anything I don’t like and I really do eat the foods that I post, occasionally I post something mum is eating or has made for me. Bottom line is that I have a healthy attitude and balance to food… and I’ll let my increasingly strong and fit body speak for itself! Why not give my healthy balance a try and see how it works out for you? 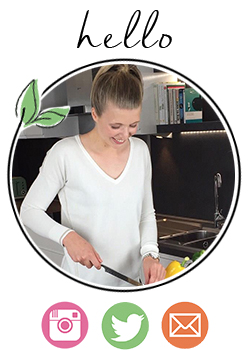 Use #faldaeats to show me your health recipes and ideas! Next ›How yellow is your pee?